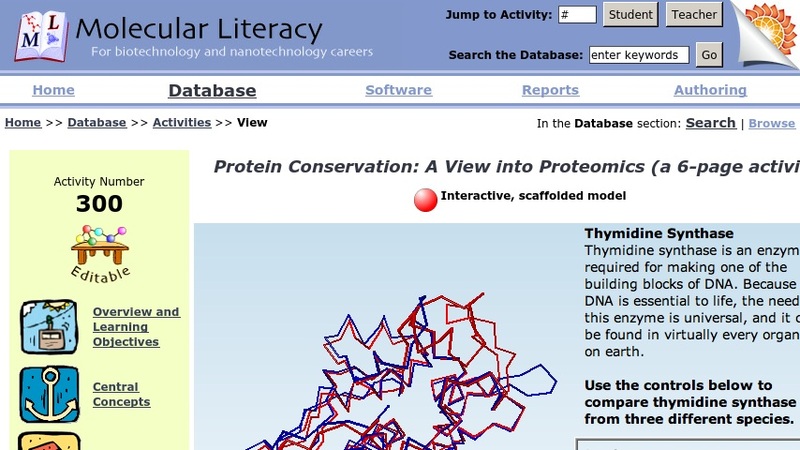 Students review aspects of protein structure and folding and then move to 3D molecules, evaluating the consequences of both conservative and non-conservative substitutions in protein sequences. The activity culminates in a comparison of human, rat and bacterial enzymes; students discuss why it is be important for some regions to be conserved. Students will be able to:Explain the basic forces at work in protein folding; differentiate conservative and non-conservative substitutions in mutations; compare human, rat and bacterial enzymes and discuss why it is be important for some to be conserved.